“This is not an email list you can join—it’s an organization that gets things done,” Red Lady Coalition member Denis Hall recently told a Crested Butte resident who asked to be added to the “alert” email list. Hall explained there was no email list and if he wanted to join, he’d be required to work. Hall was referring to the Red Lady Coalition, a relatively new group in town working to protect Mt. Emmons and the surrounding watersheds from the potential impacts of a large-scale molybdenum mine. Hall says despite the organization’s youth—it was formed in September—it has been extremely successful in generating awareness of the issue and gaining support for the group’s mission. “Certainly, the threat of the mine is the main reason for our work,” Hall says. The Red Lady Coalition’s mission, according to coalition member John Norton, is not only to stop the current Lucky Jack mining proposal, but to prevent any form of mining on Mt. Emmons forever so future generations are not burdened with the same struggle. “Our mission makes us different than other organizations because of our long-term goal of a buyout and mineral withdrawal,” Norton says. Hall adds that the Coalition “wants to put a stake in the heart of a mining proposal so it doesn’t haunt future generations,” Hall says. Lucky Jack is owned and operated by a conglomeration of companies, primarily Kobex Resources Ltd. and U.S. Energy Corp. The companies acquired more than 5,000 acres in mining claims on Mt. Emmons, known locally as Red Lady, and an accompanying water treatment plant as the result of a 2005 district court ruling. Shortly after U.S. Energy re-acquired the property, the company announced its intent to pursue a molybdenum mining project on Mt. Emmons and renamed it the “Lucky Jack” project. Mt. Emmons is believed to hold one of the world’s largest deposits of molybdenum and is predicted to have 22 million tons of high-grade molybdenum ore and 220 million tons of low-grade molybdenum ore—more than the Henderson mine or Climax mine. Hall says the coalition’s work has brought together unlikely bedfellows and has united the community toward a common goal. Coalition members include various individuals, businesses, nonprofits, municipalities and government agencies that have appeared on different sides of the road in the past concerning other issues, Hall says. The group formed not in opposition to existing nonprofits such as the High Country Citizens’ Alliance (HCCA) but rather, Hall explains, to work in parallel with them and strengthen efforts. While HCCA is a member of the Red Lady Coalition, the two organizations operate independently of each other. Hall says the Red Lady Coalition is partnering with HCCA to divide the workload required to prevent such a large development as the Lucky Jack mine. Hall says HCCA will monitor the various permitting processes, while the Red Lady Coalition will focus on withdrawal of the public lands located on Mt. Emmons. “I think HCCA is well positioned for some parts of this work and the Red Lady Coalition will be positioned for different areas,” Hall says. The Federal Land Policy and Management Act of 1976 authorizes the Secretary of the Interior to withdraw public lands from settlement, sale, location, or entry under the general land laws, including the mining laws. Additionally, under the act, land withdrawals aggregating 5,000 acres or more require the Secretary of the Interior to notify both houses of Congress. The proposed Mt. Emmons mineral withdrawal would preclude surface entry and the location of new mining claims, subject to valid existing rights for a specified period of time. Surface entry means appropriation of any non-federal interest or claim, land sales, BLM land exchanges, state selections, Desert Land Entries, Indian Allotments, Carey Act selections or any other like public land disposal action that may lead to title of the land leaving the United States. The Mining Law of 1872 is the principal law governing development of minerals within and on federal public lands. The law allows the location, use, and patenting of mining claims on public domain lands, unless the land is closed to mining. Currently, only federal agencies can petition the Secretary of the Interior for such designation. However, reforms in Congress may change that and allow state and local governments to petition the Secretary to designate lands off limits to mining to protect resources such as watersheds. Norton says the coalition plans to work with the state’s Congressional representatives to present the withdrawal. The National Historic Preservation Act may also help with the mineral withdrawal as it directs federal agencies to consider the effects of proposed actions on properties eligible for or included in the National Register of Historic Places. Crested Butte is on the National Historic Register. Norton says the process could take many years, but believes the effort is necessary to permanently prevent mining on Mt. Emmons. Halls says a congressional or administrative withdrawal of the land would have to be coordinated with some kind of buyout agreement of the private land. U.S. Energy currently holds 365 acres of patented private land. Hall says the Red Lady Coalition is working on a plan for a buyout, along with their mineral withdrawal efforts. In addition to the mineral withdrawal efforts, the Red Lady Coalition has also been putting pressure on the U.S. Forest Service to require the Lucky Jack mining companies to provide a full build-out analysis within their mine proposal. 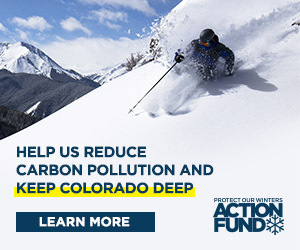 The coalition presented the “Big Bite” request to the Forest Service on Tuesday, December 13. Hall says the coalition is also working on becoming a formal organization and will submit its application to become a 501(c)3 nonprofit in January. Becoming a registered nonprofit will allow the coalition to solicit tax-deductible donations and apply for grants to help pay for the coalition’s efforts. Hall says funding for the Red Lady Coalition is not intended to divert funding from other efforts, such as the Red Lady Defense Fund, but rather provide a revenue stream for the mineral withdrawal, which Hall says will be very expensive and politically challenging. “It will take a lot of politics to achieve mineral withdrawal,” Hall adds. Despite the formalization, Hall says the coalition plans to eventually dissolve once the threat of a mine no longer exists—which Hall says he would prefer sooner rather than later. “I can’t wait to disband and that time will come… because I am 100 percent optimistic we can beat this,” Hall says. Hall says if individuals want to get involved they should contact himself, coalition member John Norton or any other members. He adds that individuals who attend meetings will be given a job and held accountable. The next Red Lady Coalition meeting is scheduled for January.